Neath Rugby Club has escaped a winding-up order at the High Court in London after a dispute over unpaid tax. A registrar dismissed an order at the request of lawyers for Her Majesty's Revenue and Customs (HMRC) after it accepted its debts had been paid. 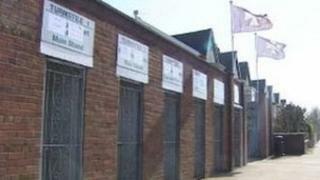 Neath Football Club, which shares the same owner, has one week to pay its debts or face being wound up. Barclays Bank is seeking the separate winding up order after it took over the case from HMRC in March. In March, the chairman of Neath RFC, Geraint Hawkes said the Principality Premiership club's outstanding liabilities would be met in full to head-off being wound up. Before Barclays Bank can seek the winding up of the football club it has to show evidence that officials have served a petition on the club after it took over the case.